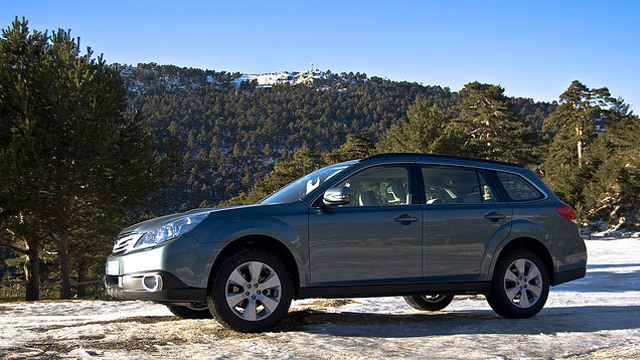 If you own a Subaru, whether it's a SUV or car, you know your vehicle – especially if it starts acting up. Guess what? We KNOW Subaru's, too! That's because at Certified Transmission and Total Car Care, we specialize in Subaru vehicles. When you need Subaru car repair service, turn to a name you can trust, Certified Transmission and Total Car Care. We know you have a lot of options with who services your Subaru, but we want you to come to us because our ASE certified technicians specialize in Subaru service. Stillwater residents rely on us every day to keep them on the road. We can help with everything from routine checks and maintenance to complex engine rebuilds. We can also get you the best deal on Subaru parts as we have great suppliers so we can pass the savings on to you! Our technicians work on the best ways to offer preventative care so you don't have to spend more on expensive parts. We also study problems that can be attributed to specific makes and models, so our specialists can readily troubleshoot your vehicle, find the right parts, and make the best recommendations for you. We want you to save money on auto repair because your business means a lot and we want to see you enjoy your Subaru for a long time. Have a question about your Subaru? Stillwater residents can reach us now at (651) 538-6537. In business for over 14 years, we are a well-known and reliable auto repair center in Stillwater, MN. Let Certified Transmission and Total Car Care get you back on the road today.Set up your appointment now!